An intense discussion ensued between two chickadees. One would pop into the bird house, then flit out and discuss her findings in rapid-fire chickadese. He would respond in kind, go in and glance around, then sweep out and voice his thoughts. He was clearly the engineer-type, noting wind direction, structure, and load-bearing issues. She concerned herself with safety, warmth, and sunlight (not to mention those pretty flowers painted on the sides). This went on throughout the day as our chickadee pair pondered whether or not my birdhouse would do for the raising of chicks. It was difficult not to imagine their conversation, as animated as they were. Turns out, they constructed a nest inside and successfully raised a happy brood of 3 chicks! 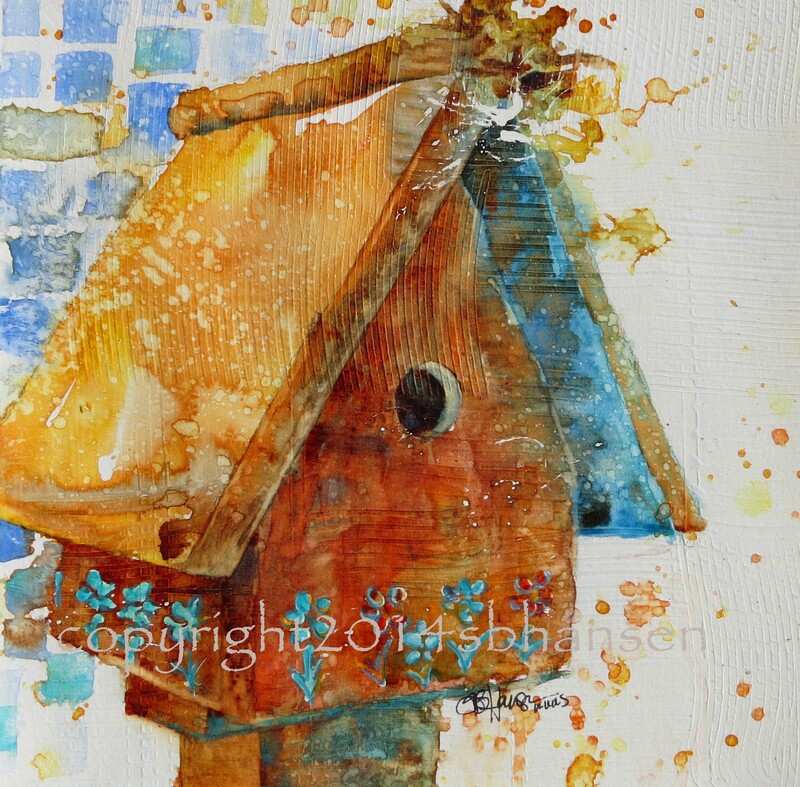 So in anticipation of spring, I offer up my small little painting this Thursday, called “Flowered Birdhouse”. Flowered Bird House, 8×8 original watercolor on gessoed paper, $40. Prints available.